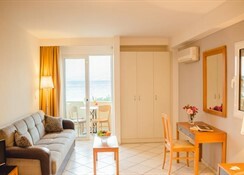 Complex of apartments next to the beach of Ammoudara and close to Aghios Nikolaos. 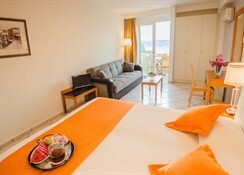 The Faedra beach hotel is a family-run property opened in 1997 and extended in 2008 with studios and apartments on 2 levels. 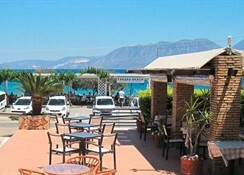 The property is situated just across the road from the beach of Ammoudara and 3 km from Aghios Nikolaos. The public bus services to Aghios Nikólaos and to other beaches is just a short walk. The airport of Heráklion is approximately 64 km away. 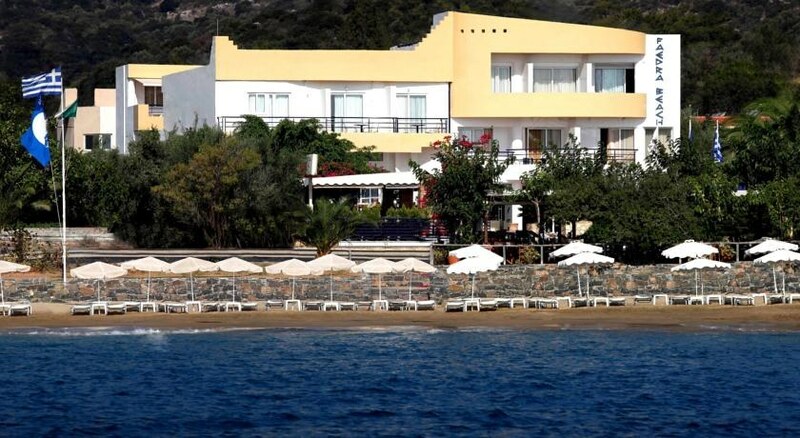 The facilities and services include reception (limited hours), lobby area with TV, bar, restaurant with terrace, tavern, outdoor pool, sun terrace with sun beds and umbrellas (at the beach with extra charge).